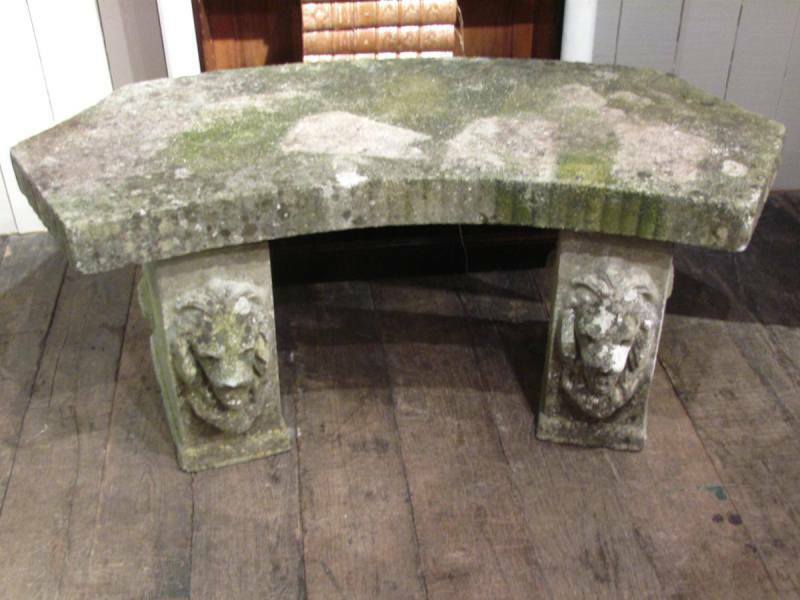 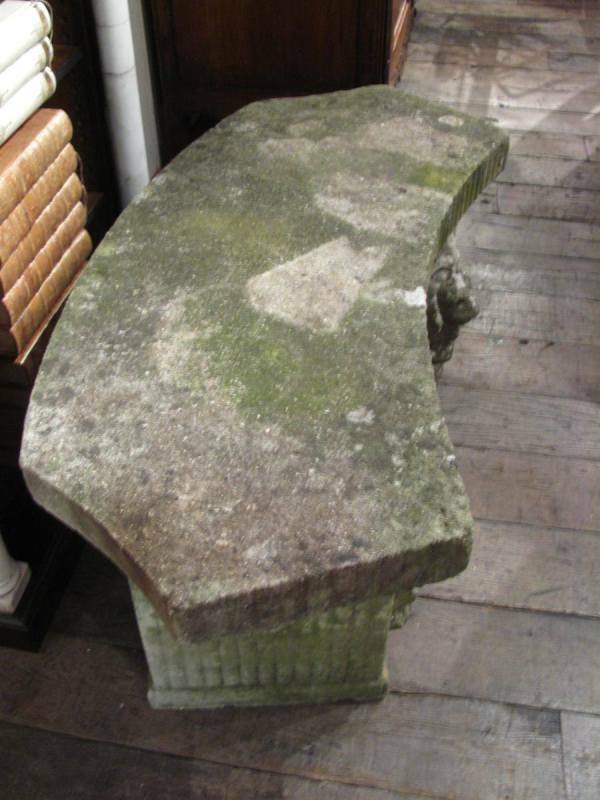 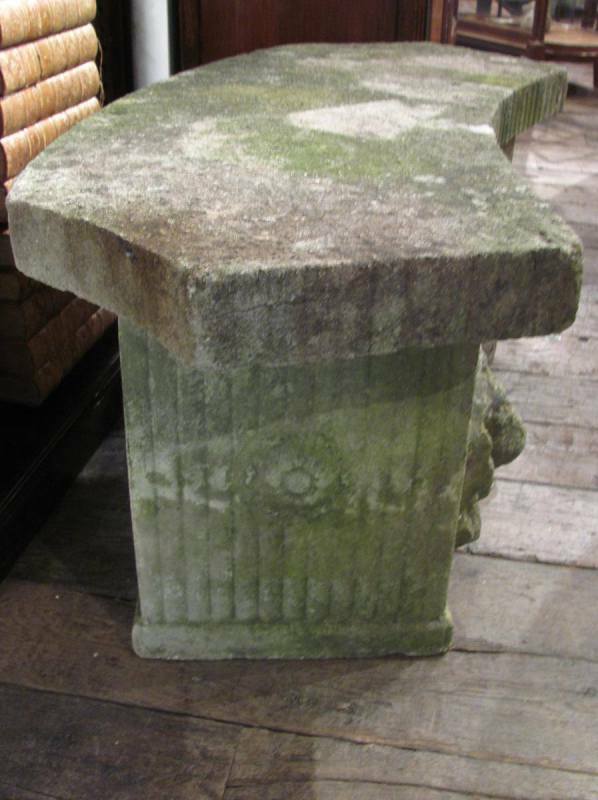 A mid-20th century English cast stone garden bench with a curved seat of generous proportions. 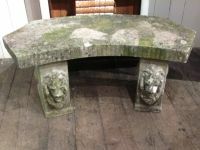 Each side support is embellished with a nicely detailed lion mask. 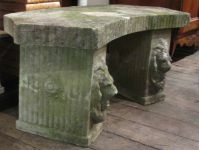 Both the seat edge and side supports are decorated with ribbed banding. 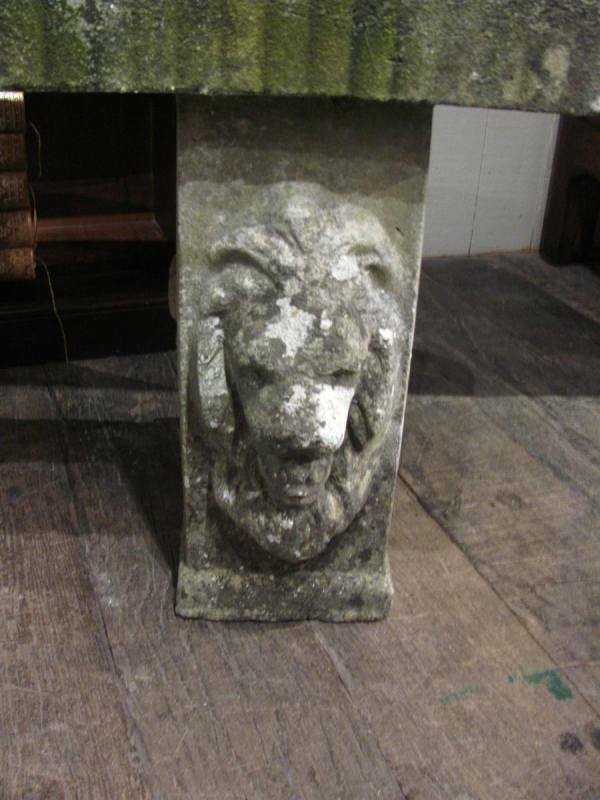 Measurements: Width: 48" Depth: 23" Height: 20"